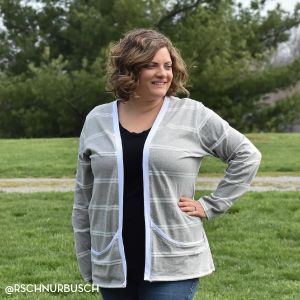 Seasonless perfection in a wider gray and two smaller white stripes cotton jersey knit. 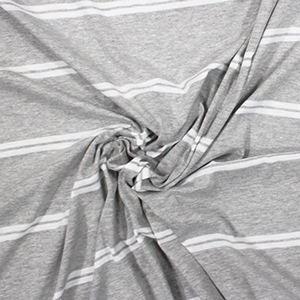 Fabric is soft with a small stretch, light to mid weight. 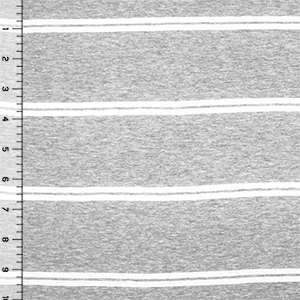 Gray stripes measure 3 1/4", white measures 1/4". 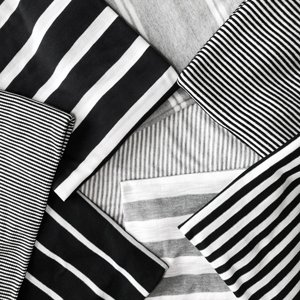 Soft fabric that is great for many on-trend items like dresses, skirts, tops, and much more!